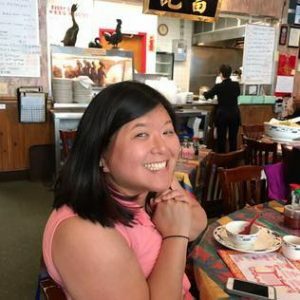 Introducing long-time member Jamie Lee, the Director of Community Initiatives at the Seattle Chinatown International District Preservation and Development Authority (SCIDpda). I had the chance to interview the elusive lady–read on to learn more about her! Janet: What does your role entail? Jamie: I oversee all community and economic development work that SCIDpda does, as well as marketing and fundraising work. Janet: Why do you do what you do? Jamie: I started here because I love place-based work and I loved the idea of policy and practice interacting with each other. I like getting to work with community members, business owners, and residents in the neighborhood, and advocating for policy work within the city. I stay because I love this neighborhood; it reminds me of a small town and a place that I feel at home. 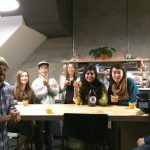 I grew up in a Ohio, where there weren’t a lot of Asian folks, and when I first moved here I loved being surrounded by APIs. Janet: What might someone be surprised to find out about you? Jamie: That I have a bachelors in Fine Arts in Printmaking. I love Star Wars. I hate coconut…it’s so gross. I also hate board games, and games in general. Janet: What do you do when you aren’t working? Jamie: I play soccer, serve on the board at Sanctuary Art Center (a job training program with homeless youth and young adults), yoga, and box. I love to cook (fun fact–she makes eggs every morning, without fail). Oh, and I love watching The West Wing. Janet: What’s your end goal in life? Jamie: To leave the world in a better place than when I came into it. Janet: What’s the first thing you would do if you won the lottery? Jamie: How much do I win? Jamie: That’s it? Can it be $192 million? Jamie: I would set up a loan fund for building rehabilitation and commercial stuff for small businesses, pay off my house, and set up a foundation. Well there you have it, an exclusive look at the life of Jamie Lee. Check back on our blog for updates on the happenings of HHC!